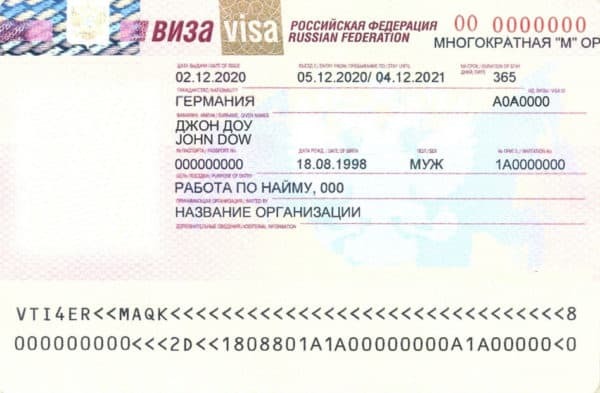 If foreign nationals obtain a Russian visa, it gives him legal right to cross borders of the Russian Federation for purposes of stay, which he has indicated in his visa application. Visa registration is an internal structured process and even the slightest violation can lead to a refusal by consular authorities. Pay attention! You need to indicate purposes of your journey while applying for a visa in the consulate as far as it determines what kind of Russian visa you will get. Tour-group – visa is issued for a month. Russian visa for educational purposes can be issued for a period up to 90 days or for the whole period of studying. However, the term can’t exceed one year but the visa can be prolonged. You can apply for a visa in cases of any educational direction (postgraduate, internship, teaching, etc.). Pay attention! Study visa doesn’t give you the right to work after the educational process has been completed. In order to do it, you need to obtain a Russian visa indicating hiring as a purpose of entry. Duration of the visa that gives you the permission to work in the territory of Russian Federation is determined by conditions of the upcoming job. Foreign citizens who intend to work in Russia will be provided with a simple work visa for a period up to 90 days. Later you can apply for a multiple-entry visa issued for up to one year. Pay attention! Visa for media workers requires getting accreditation in the Press and Information Department of the Russian Ministry of Foreign Affairs. Pay attention! To implement these goals you can obtain either a single-entry visa or multiple documents. Yet you can’t stay in Russia for more than 90 days for half a year. Transit Russian visa for foreigners allows a person to enter Russia legally, move freely ta o particular destination and even make short stops. The key point of getting this document is to have a right to enter the territory of the state where you go. Pay attention! Transit visa requires having a travel document with an indication of the end of a trip, which should be located beyond Russia. Transit visa allows you not only to move freely but also to do short stop for a period not exceeding three days. In such case, you don’t need to register in local authorities of the Ministry of the Interior or in a hotel. 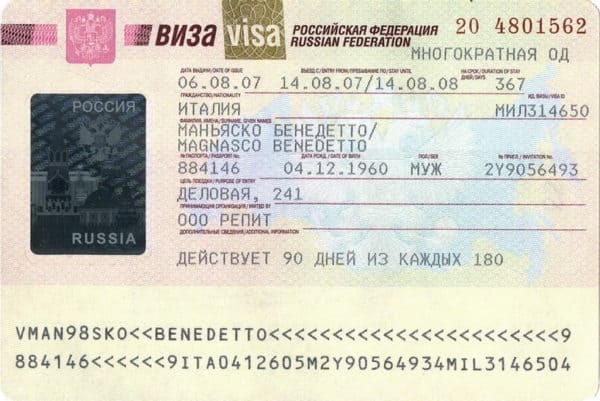 Some kinds of visa require additional documents (for example, a transit visa is issued under the condition of providing travel documents through the Russian Federation). As a result migration service issues an invitation that can serve as a valid ground to apply for a visa. Pay attention! Documents for Russian visa need to be checked and double-checked before sending into consular authorities. You should pay special attention to declared purposes and time frames of your journey. You can get any help with paperwork from our company’s specialists. We are capable of filling an application form or a legal request, providing assistance with an invitation for any purposes of the journey for foreign nationals. How much do you need to pay to obtain a Russian visa? The overall amount consists of consular fees and services fees. The second position means that you additionally pay for services of the Visa Center that provides you with a visa. Pay attention! In the case of denial, fees are not the subject of return so you need to focus on filling documents in the right way observing all the instructions and recommendations. To clarify all details use the application form on our website. The cost of the Russian visa may include expenses on services of intermediaries. This way the cost will be a little higher but you will get guaranteed documentation and no ground for refusal. Our company provides full assistance of every step of obtaining. In order to know how much will visa cost for you consult with our specialists or leave a request using the form of feedback. 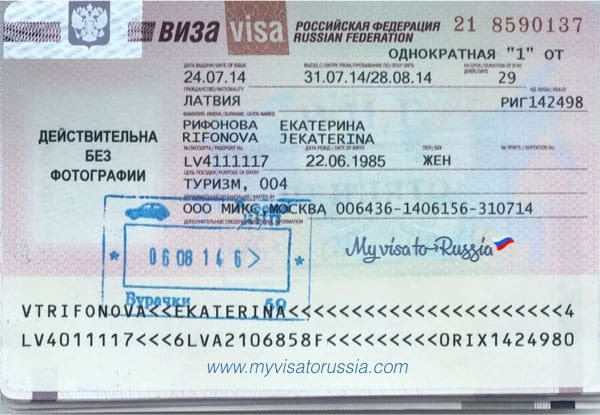 For obtainina g Russian visa you need to know all the responsibilities for foreigners who stay in Russia. The main requirement by migration legislation is to register practically every time you come to Russia. Pay attention! During the visa application process, the receiving party (travel company) generally takes all the responsibilities of registration of its clients. Nevertheless, visa holders must watch out the registration process by their own. The violation of the registration requirement may lead to extremely sad consequences. In this case, the offender can be brought to justice and deported from Russia. Besides, the fact of breach can influence the ability of obtaining re-entry visas. If the foreign national breached the visa regime during his previous residence in Russia (exceeded legal timeframe, violated the purposes or didn’t register by the established procedure), he might get refusal in obtaining permission to enter. In such case, it would be hard to get a Russian visa even through time. Pay attention! Refuse under other kinds of circumstances (for example, mistakes while filling a profile or an invitation) can’t hinder the further appeal, yet requires higher attention to making a package of documents. We offer you to fill in the applying form on our website and use our specialists’ assistance on every stage. Our consultants will help you to choose suitable options of registration so that you could get a visa in the shortest terms. Be free to use our specialists’ help in order to deny the refuse when applying for a visa.